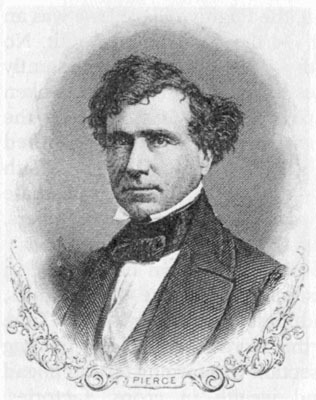 This is an engraving of the fourteenth President of the United States, Franklin Pierce, who served from 1853-1857. Bailey, Thomas A. and David M. Kennedy. The American Pageant, A History of the Republic, Sixth Edition. Lexington, MA: D. C. Heath and Company, 1979, page 354.